Classic Vapes e-liquid flavours are an ideal everyday vape. 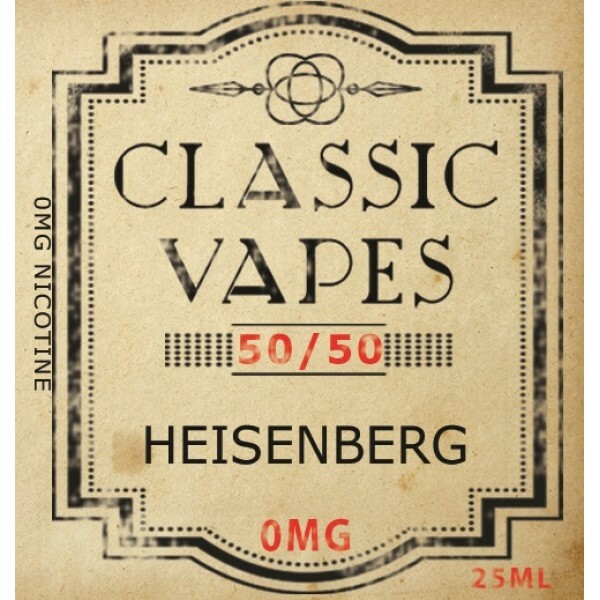 Manufactured using 50%vg & 50%pg allows these tasty classic flavours to follow through into the MTL vape, Coil kind and Ideal for the beginner vapourist using low end kits. 50/50 (for more info on the mix please see our VG vs PG information page. Nic Shot Compatable (add 5ml of 18mg nic shot = a total mix of 3mg. add 10ml of 18mg nic shot = a total mix of 6mg. WARNING: NICOTINE IS A POISON. NICOTINE IS HARMFUL. KEEP OUT OF REACH FROM CHILDREN AND LOCKED AWAY IN A SAFE PLACE. IF ANY NICOTINE PRODUCT IS CONSUMED, SEEK MEDICAL ASSISTANCE IMMEDIATELY. Priding ourselves in our products & customer service, we hand pick exclusive premium products for the Uk vaping comunity.